Do you have a 457 account through your employer? Have you ever wondered if (and how) you can invest in recession-proof physical gold bullion with your 457? This page will go over what 457 plans are, how precious metals investing words, and how you can safeguard your retirement assets against economic calamity. Your 457(b) plan is very similar to other employer-sponsored, tax-deferred retirement plans like 401(k) and 403(b) plans. As a defined contribution plan, 457(b) participants deduct income from their paychecks to be set aside in a tax-free investment accounts. 457(b) plans were created in 1978 as an alternative defined contribution plan for two specific types of employers: government and tax-exempt, non-government employers (such as hospitals and charities). There are some different rules for governmental and non-governmental 457(b) plans. The most important difference is that public governmental 457(b)s must be funded by the employer, whereas almost all non-governmental 457(b)s are not funded by employers (doing so would remove the tax benefits of the account, per ERISA guidelines). Additionally, most 457(b) plans offered through private companies limit their participation to management or other highly compensated employees. Each 457(b) has a plan provider and plan administrator, and the investment options available to plan participants are limited to only those investments specifically offered by their plan. Unfortunately, non-governmental 457(b) plans may not be rolled into any qualified retirement plans, such as 401(k)s or Individual Retirement Accounts (IRAs). These funds can only be moved to another tax-exempt 457(b) plan. Governmental 457(b) money can be moved into your new employer's 457(b), 403(b) or 401(k) — but only if the plan accepts such transfers — or into a Rollover IRA. Governmental 457(b) money is not subject to the age 59 ½ withdrawal rule, so money can be withdrawn (subject to income tax on the full amount) without incurring a 10% early withdrawal penalty. Another option when switching jobs is to leave the money where it is, if your plan allows. When you receive funds from your 457(b) for a rollover, you have 60 days to complete the process. If you fail to do this, the IRS will treat your money as a taxable distribution. You are limited to one rollover per year from a 457(b) into an IRA. This one-year period begins on the date that you receive your 457(b) distribution. This applies separately to each IRA that you own. You cannot use the cash from your distribution to purchase investments in the period in between receiving your 457(b) distribution and establishing your IRA. It is advised that you select the option to perform a “direct rollover” with your 457(b) funds. In a direct rollover, you never receive a check for your distribution; rather, your 457(b) plan provider will transfer the money directly into you new IRA plan. Here is a table that illustrates how a 403(b) plan compares to other retirement vehicles. In short, this means that you cannot invest in physical gold bullion (or any other precious metal) through a 457(b) Plan. The simplest way to invest in gold through a 457(b) is to purchase stocks in gold mining companies, or to purchase a mutual fund that includes mining company stocks. This is referred to as buying “paper gold.” There are also gold ETFs (GLD) and mining ETFs, which provide indirect access to investing. Cost of Production Risk – mining equipment depreciation, increased property values, and labor costs can all negatively impact a mining company's valuation. Management Risk – mismanaged or overly-leveraged companies can and do declare bankruptcy or close shop altogether. 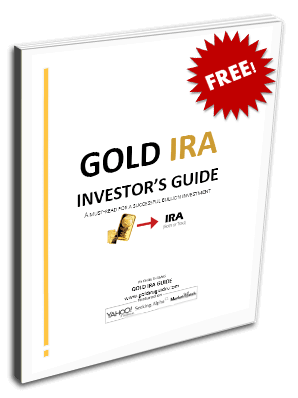 The advantage of rolling over your 457(b) Plan assets into a self-directed IRA is that you are able to control the designation of your retirement funds and open up new tax-free investments – like precious metals. In an employer-funded retirement plan, such as a 457(b), your investment options are more limited than with a precious metals IRA. Additionally, 457(b) plans require the account owner to establish a vesting schedule, which means that you are only entitled to your funds after a certain length of time has passed. In terms of flexibility, the self-directed IRA wins hands down. Additionally, 457(b) plans are vulnerable to the business risks of your employer. If your employer declares bankruptcy, for instance, you could lose the ability to contribute to your retirement plan.